An anemometer is a device that is used for measuring the speed of the wind, or of any current of gas. When it comes to rigging - knowing how fast the wind is blowing is an important part of the process. Not to mention, climbing 200 feet up a tower with high wind speeds can cause a whole slew of issues. Our selection of anemometers will have you measuring wind and gas in no time. But, it doesn’t stop at speed. If you need to know the maximum wind gust, air, water, & snow temperatures, wind chill, relative humidity, heat stress index, or dew point - these devices have got you covered. With brands like Kestrel and WeatherFlow we've got the perfect device for you. Need help finding the right anemometer or have questions? 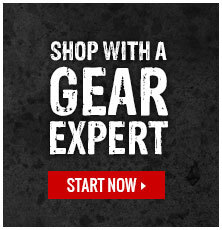 Click here [insert link here] to contact one of our Gear Experts®.